I had the opportunity to meet with the owners of a terrific direct marketing resource. This resource provides a database that would be a useful shortcut to anyone creating advertising online or through email or direct mail. Yet it’s poorly subscribed to and renewals are low. This resource is being marketed as a library. A repository the marketer can refer to at any time. Your customer doesn’t want a library either. A repository of products, past issues of your publications, and old recordings or video lessons are not compelling. Within seconds, your prospective member can download a lifetime of high-quality materials (audio and video) using the podcasting app on his phone. Your library isn’t necessary. The key to new member recruitment is to show them the transformation they’ll receive when they join your program. In the example above, this database could be positioned as the ultimate shortcut, shortening the creative process, speeding up results, and allowing any junior copywriter to leapfrog into producing top pro work without years of effort. This may sound a lot like the old benefits versus features lesson, but this is deeper than that. Yes, describing what your product will do for your customer is much more important than describing what it is. In addition, what transformation will your new member experience in his life when he gains access to your membership and the resources you offer? No transformation? 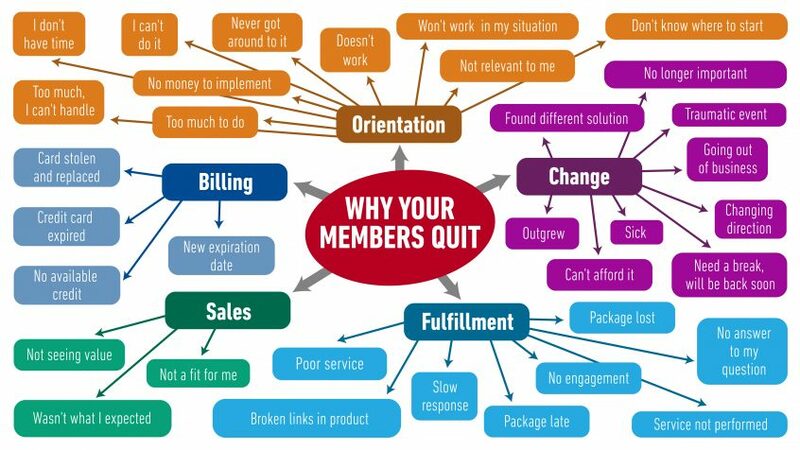 Selling your membership and retaining members just got a lot harder, but it’s not impossible. For many years, I grew a membership program where the only benefit was a renewal invoice 12 months after you joined. Being part of a bigger cause can be a powerful attraction for a new member. When delivering materials to your members, you must produce content that’s not just good, succinct, and well-produced. It must be transformational for your member. It must solve problems your member couldn’t solve without you. That’s what attracts and retains members. After I reviewed this direct marketing resource, the owners gave me the name of the famous copywriter who had created the marketing materials, as if to prove that they must be good. It didn’t matter that the sales page wasn’t converting. To them, the copywriter’s reputation was enough to stick with the current copy. In spite of acknowledging their problem he chose to keep their ineffective marketing copy. Not even the best copywriters can make a poorly crafted offer generate positive results. I’ve been asked to turn around dozens of membership programs. I have yet to come across one that had a clear member transformation either promised or delivered. This transformation becomes attractive to non-members. Once members experience this transformation, they want to connect with other people who have had a similar experience. They want to tell other people about it, and they trust you to continue to deliver these transformational experiences. What you deliver doesn’t matter. What matters is how what you deliver transforms the lives of your members.